We are releasing a new version of ZoomShift on Monday, December 10th! The new version will give us the ability to roll out new features and improvements faster. We can't wait to share it with you and your team. This guide covers everything you need to know about the new version. Here's an overview of the major changes in the new version. Click the links to jump to the summary. We updated how you can repeat or create multiple shifts. Instead of using keyboard shortcuts to copy shifts, which can be finicky, we added options in the shift form. 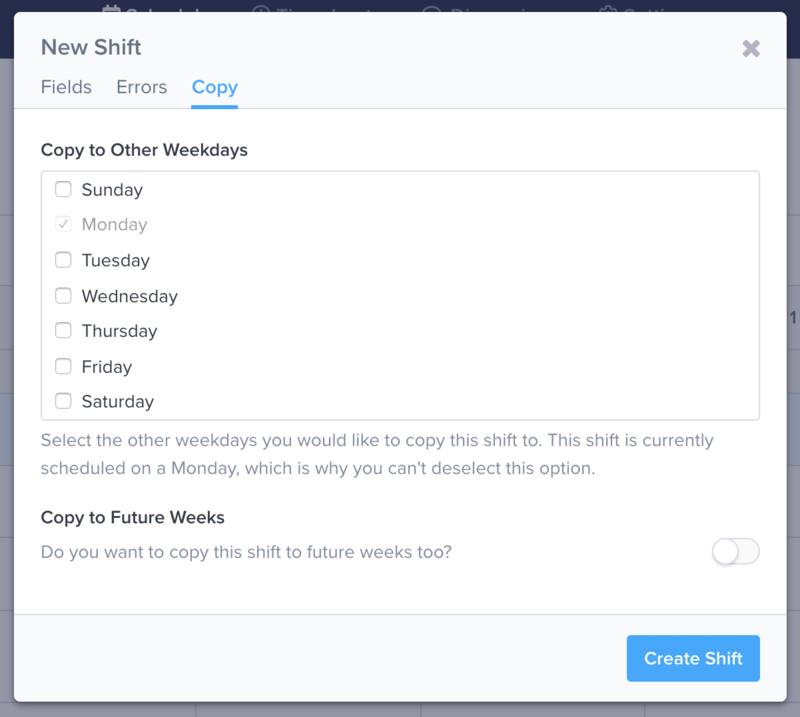 You can now copy shifts across multiple days and weeks under the Copy tab of the shift form. Discussions have been simplified. Instead of chat rooms, discussions are simple message boards that help you keep the conversation in one place. We will be adding the ability to add files, images, and formatting soon! You can still have private discussions with team members. All of the navigation for the site is now in the top bar. We updated the navigation to be consistent for everyone (regardless of your add-on settings). As a result, you may notice some new links in the nav. Calendar App Sync - Now located under the Profile (avatar) drop-down. Employees (Team Members) - Now located under the Settings drop-down. Web Time Clock (Kiosk) - Located under the Settings drop-down. We simplified all of the views and made them more flexible. 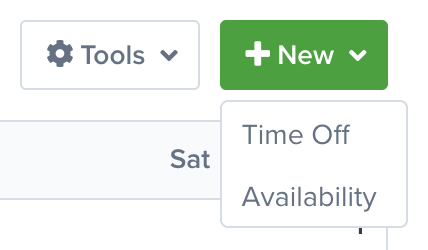 You can create new shifts, timesheets, time offs, and availability requests by clicking the New button in the top right corner. You can publish shifts for specific employees by clicking on the Publish button and adjusting the filters. You can filter views by clicking on the Filters button. You can also filter quickly by using the links with counters (e.g. unpublished, open shifts, errors). Filters are a personal preference that is saved your session. Any changes to filters do not affect other users. 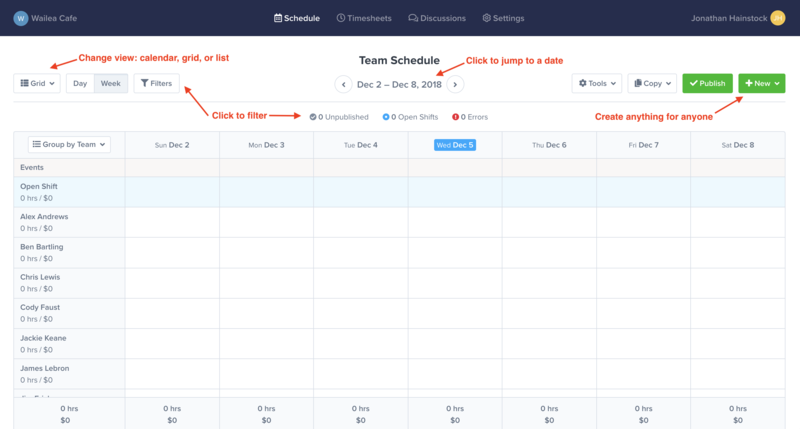 The shifts and timesheets pages can be grouped by team, position, and location. You can find the grouping options on the top left of the grid view. The schedule copying features and templates are found in the Copy drop-down. Additional features can be found in the Tools drop-down. You can export most pages to CSV by selecting the List view and clicking on the Tools drop-down button. You will see an option to Download Excel/CSV. The forms in ZoomShift may look a little different, but all of the options are the same. Note: Some forms have tabs. If you don't are looking for a field, check the tabs for more options. Swaps are now named Shift Covers. This name is more accurate because shifts are not actually being traded. Employees can use the New button at the top right of the page to submit time off requests or create availability preferences. 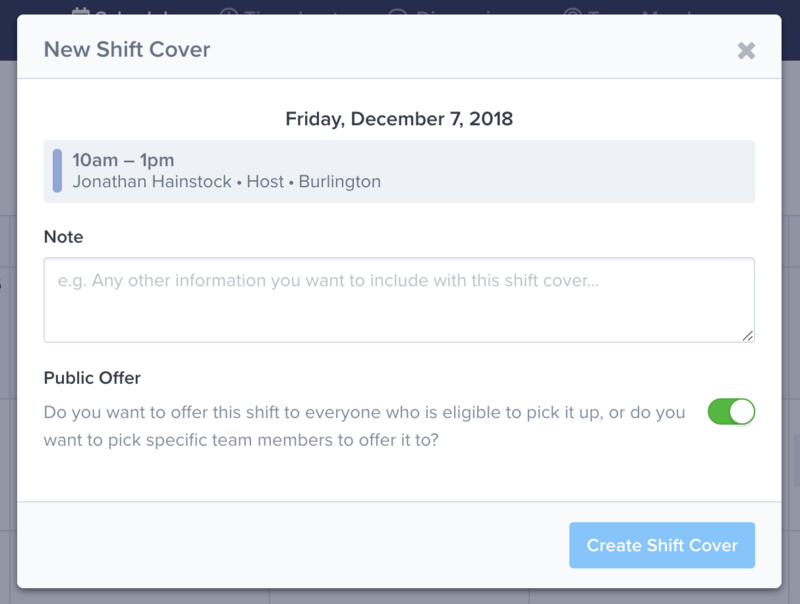 Employees can click on a shift to request a shift cover. 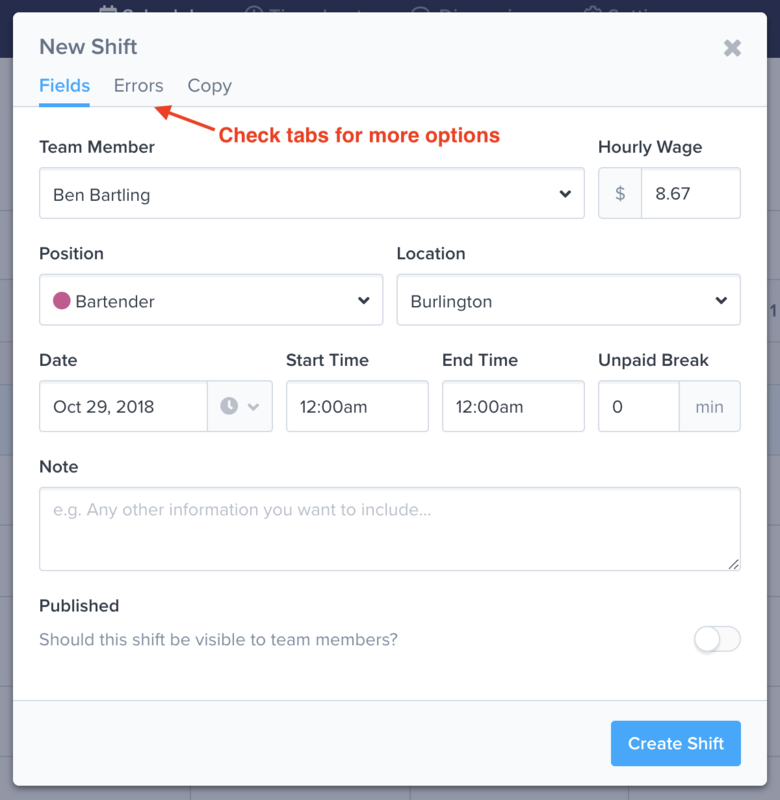 Employees can pick up shifts by clicking on the Available Shifts button. Have questions? Don't hesitate to contact us at support@zoomshift.com.